Stealing elections is not new. Most observers can recite examples. It was also clear something was wrong. The size of Bernie Sanders rallies for one in comparison with Hillary Clinton’s even when exaggerated by the main stream media (MSM). It turns out the MSM had been bought in other ways also, printing positive op-eds for Hillary and vice versa for Bernie before primary voting. How do we know all this? Thanks to the hacking of the Democratic National Committee and other emails. Informing the public of high level corruption is a grievous sin in the Obama administration. 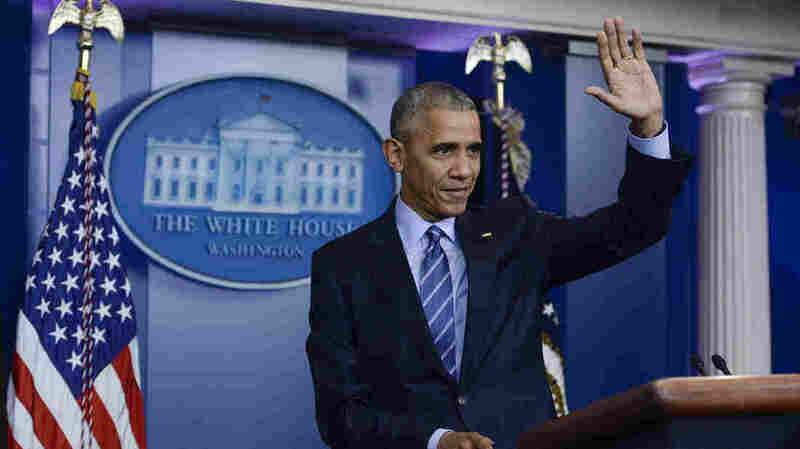 So it was that a jaunty President Obama appeared for his final news conference — just before setting off for a Christmas vacation to Hawaii costing millions and paid for by the taxpayer. The Russians hacked the emails; the Russians influenced the election; this has to stop; we’ll consider a measured response. Forget the corrupt DNC chair (at the time), Debbie Wasserman Schultz, who resigned in disgrace and disappeared from the Democratic Convention as Bernie Sanders delegates booed. Forget John Podesta; forget the Clintons, clearly not unknowing beneficiaries; forget the crooks. Blame the Russians. It is a many-months old story from summer suddenly given new legs. At the time, President-elect Donald Trump encouraged the Russians, if they were responsible, to hack more! So why is the MSM pushing it again led by The Washington Post (current owner Jeff Bezos) now notorious for a dubious, unsourced McCarthyism story impugning alternative media in a black list published by the heretofore almost unknown group PropOrNot? Surely the CIA has better things to do than pursue an old hack that informed voters of a corrupted Democratic party. No wonder Trump has stopped taking intelligence briefings from the CIA. That alone is a first time ever for a newly elected president. One supposes he will wait until his selected CIA nominee Congressman Mike Pompeo of Kansas takes control. Well, the answer to these questions lies in one simple fact: the selection of Rex Tillerson as the nominee for Secretary of State. He has cordial relations with Russian business leaders and knows Vladimir Putin. Here’s what’s happened. Candidate Trump’s two foreign policy initiatives were to get tough with China on trade and to improve relations with Russia. He tried and failed to get someone to do both; hence the repeated meetings with Mitt Romney. So it was that he decided to focus on one or the other. He met with a former ambassador to China, John Huntsman, a moderate Republican who was appointed by Obama. And he interviewed Exxon CEO Rex Tillerson, a man who clearly knows his way around the Russian oligarchy. The Chinese enterprise is fraught with pitfalls, a principal one being the WTO which would in all probability negate a unilateral tariff. Moreover, the Chinese have already fired a small warning shot in the air, if not across the bow: they sold $45 billion of US government securities this week. So it had to be Tillerson — a tilt to better relations with Russia. Couple this with the announcement to review the bloated and troubled F-35 multi-role fighter program, and one can easily discern how Trump has sent tremors, if not an earthquake, through the unholy neocon and military industrial complex alliance. Their minions are responding. Tellingly, improving relations with Russia seems the only saving grace of the incoming Trump administration. The other cabinet nominees portend a dismal future for government departments and services, as the individuals supposed to lead them either disavow their need to exist or do not believe in their remit. It is going to be an horrendous four years. We are in for a dangerous four years, but we are used to that and cannot pretend Obama is an angel.